﻿Oh my! What fun you can have with a little burlap, fabric, and lace! These trees are so easy to make when you use ruffled burlap trim. Each tree can have a slightly different personality based on size and trim choices. 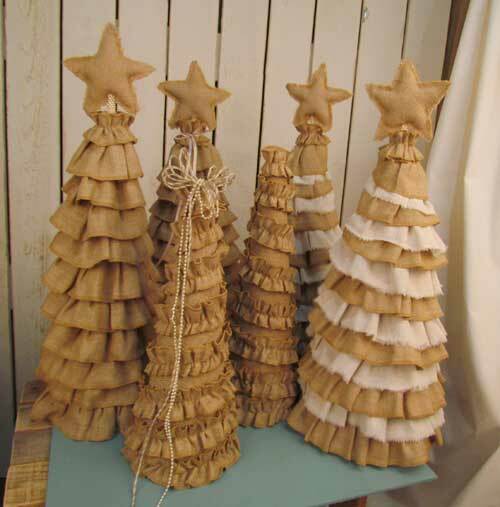 See a full tutorial about how to create one of these DIY burlap trees on our blog.